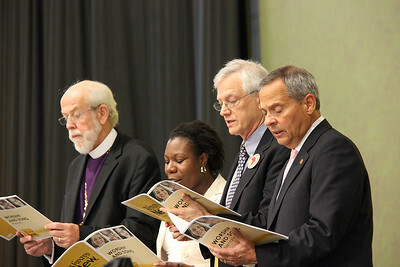 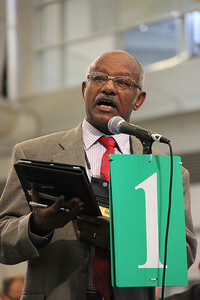 Voting members participate in the plenary. 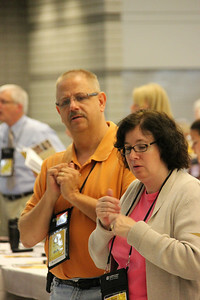 Scott Weidler is recognized during the plenary for the wonderful music throughout the week. 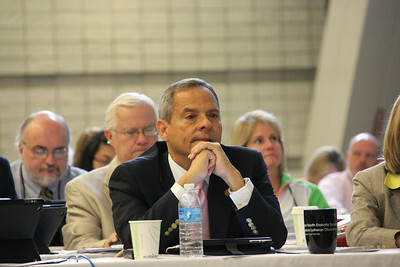 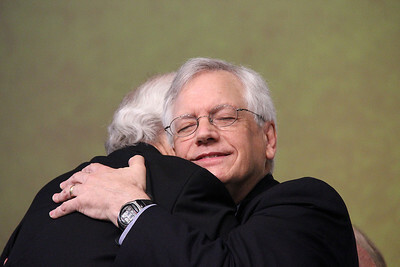 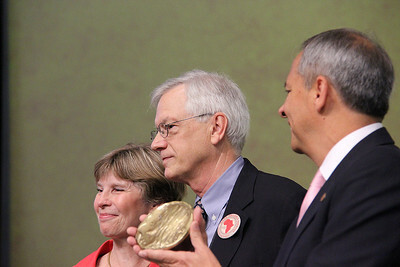 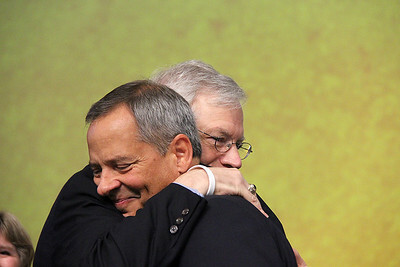 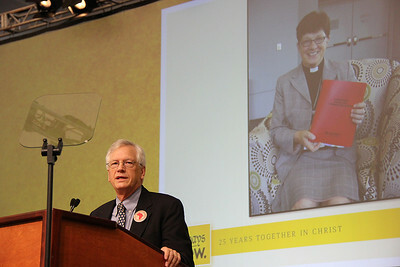 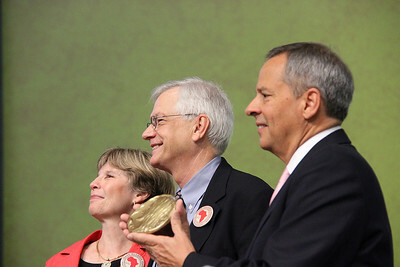 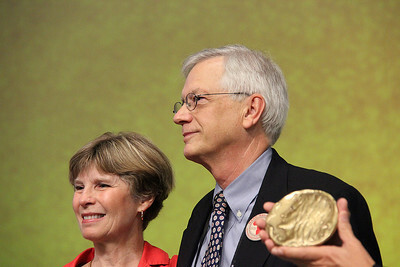 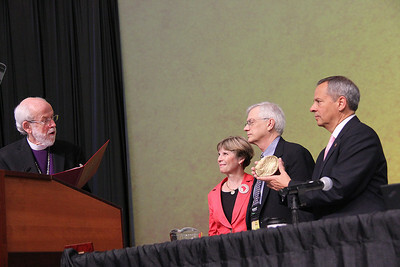 Carlos E. Peña, vice president of the ELCA, presents the Servus Dei Medal to David Swartling, secretary of the ELCA. 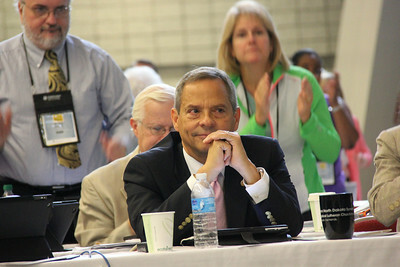 Barbara Swartling stands by his side. 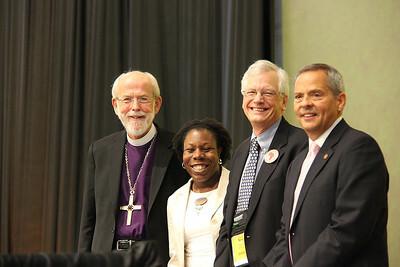 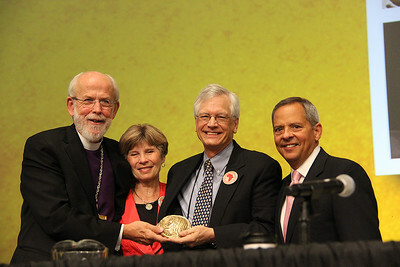 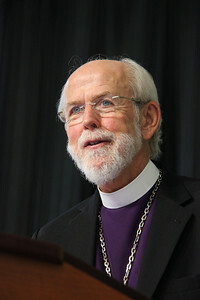 Presiding Bishop Mark S. Hanson and Carlos E. Peña, vice president of the ELCA, present the Servus Dei Medal to David Swartling, secretary of the ELCA. 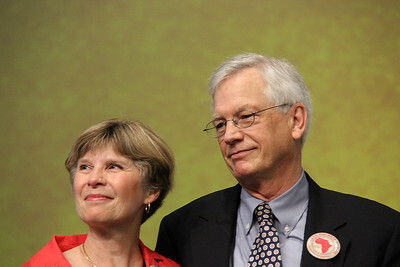 Barbara Swartling stands by his side. 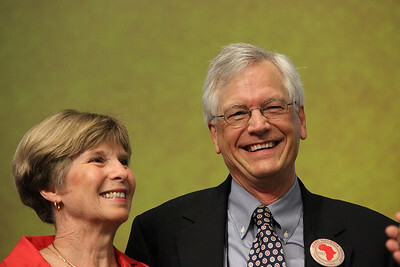 David and Barbara Swartling smile after the award presentation. 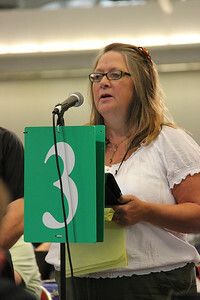 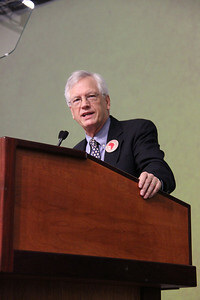 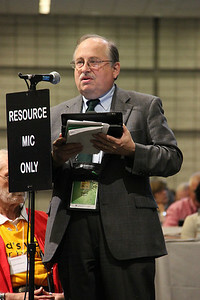 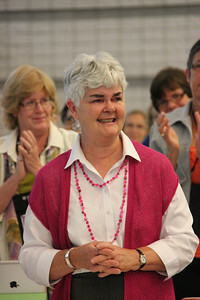 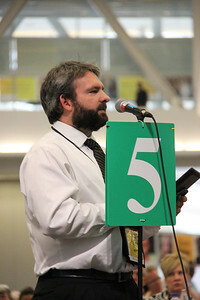 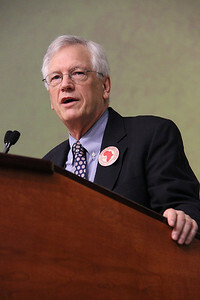 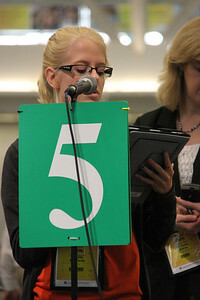 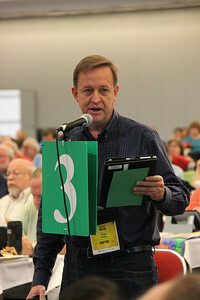 A voting member speaks in favor of a motion. 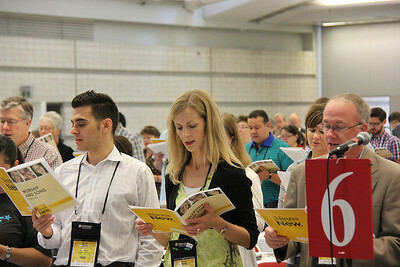 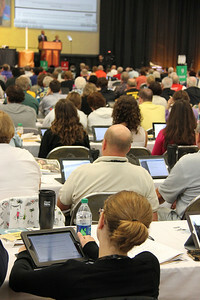 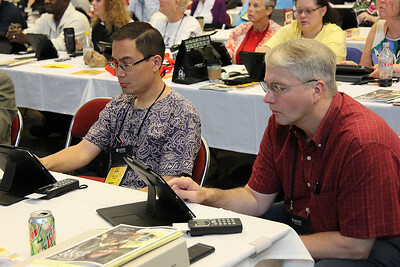 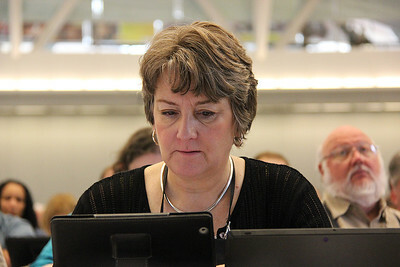 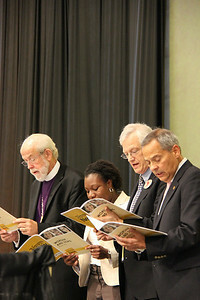 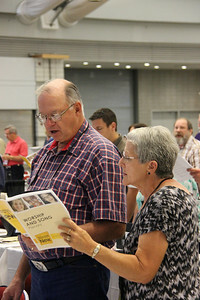 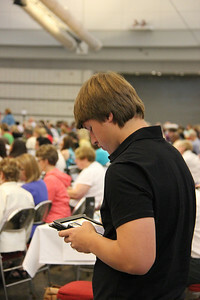 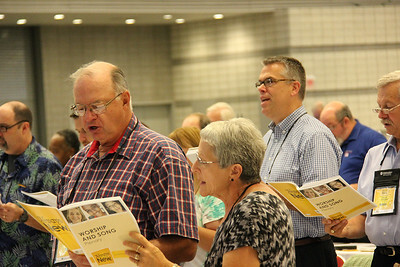 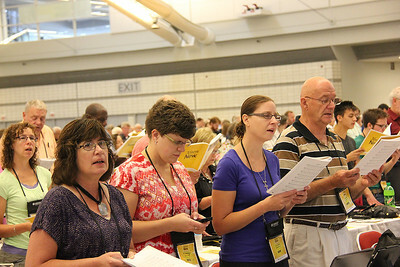 Voting members utilize an electronic Guidebook during the plenary. 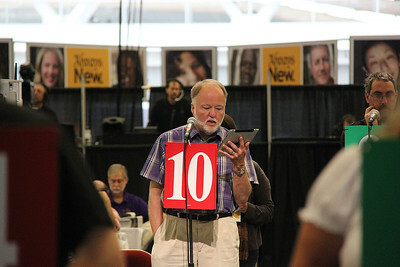 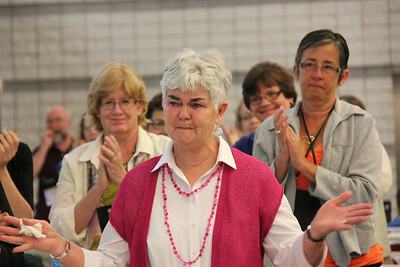 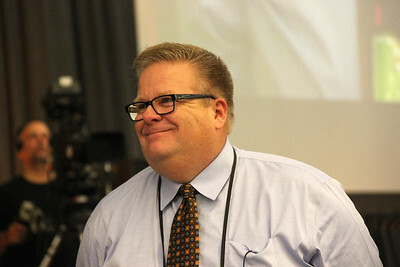 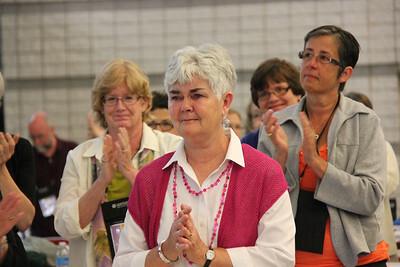 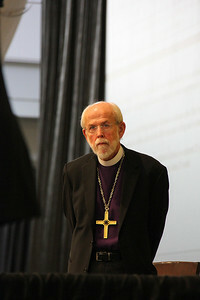 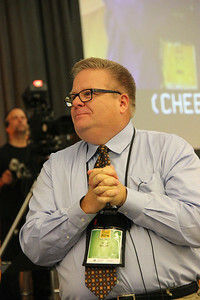 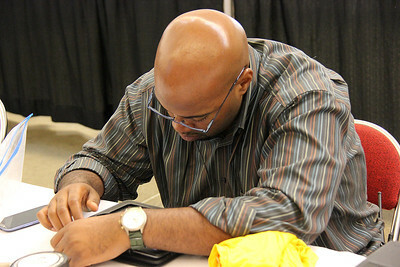 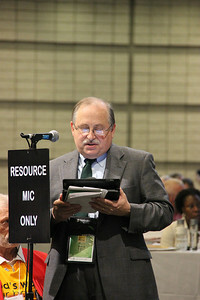 Ronney Hunter provides technical support during the plenary.